This week’s guest on the podcast, Derek Lau, talks about the role of video in the social media landscape and where he’s seeing it successfully used. He also encourages other aspiring entrepreneurs to go for it. As a bonus, he brought us really cool hats. 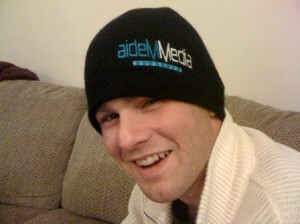 Derek’s company is aideM Media Solutions, which can also be found on Twitter. Here’s the video Derek produced, a tour of downtown Lancaster.